What do you get when you mix a bunch of caring and dedicated teens with a bunch of adorable and enthusiastic little kids? Teen Buddies! Teen Buddies is a venture of Kentville Library’s Teen Council, a group that meets every other Sunday afternoon to brainstorm, plan and carry out projects of benefit to the library, its patrons and the town of Kentville as a whole. 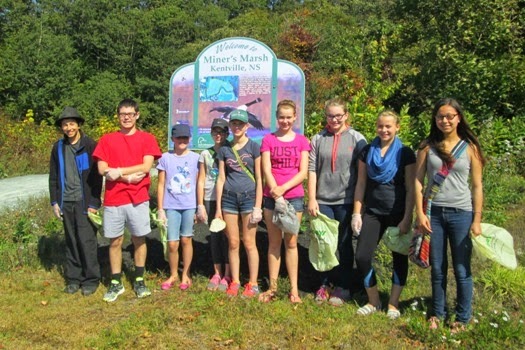 Teen Council has picked up trash at Miner’s Marsh and around the library grounds (not once, but twice this year! ), has thrown parties for younger children, has produced a promotional video for and consulted on details of the Annapolis Valley Regional Library’s summer STREAM program, and has just completed a trial run of Teen Buddies, a program matching Teen Councillors with kids between the ages of three and eight. The teens’ goals for Teen Buddies are simple: fun and friendship. For one exciting hour on Tuesday evenings, the teens welcomed their new young friends to the library and read stories together, assembled puzzles, coloured pictures, played games, put on puppet shows and learned a lot about (and from) each other. The smiles and squeals of laughter and promises of “See you next week!” said it all – Teen Buddies was a hit with everyone involved. So here’s to the teens of Kentville’s Teen Council for devoting their Tuesday evenings to building bridges and for recognising that the library – haven, heart and hub of the community – is the perfect place to do it. Teen Buddies will return! If you'd like to get in on the Teen Council, you'll need to be between the ages of 13-17. Find more details on the Teen Council blog. Join us! Seniors Week is October 19 – 25, 2014. Seniors Week week is an opportunity to focus on programming and services for seniors provided by public libraries. The goals are to increase seniors’ knowledge of public libraries, and to increase seniors’ usage of the public library system and services. Last year was the first year of this celebration. There are 120 programs happening in Nova Scotia during this week. Click this link for information on other regional programming. Branches of the Annapolis Valley Regional Library are offering 23 programs. On October 20 the Port Williams branch is offering an estate planning workshop. Come and learn about GPS in Kingston, or healthy eating tips for life in Middleton on October 21. The Windsor branch will have games and puzzles available every day during seniors’ week and a live performance by Dewey and the Decimals on October 23. The Hantsport branch will host an informational session with a local physiotherapist, and Kingston will host an open house of services available for seniors in the community. Some branches will be hosting RCMP senior safety workshops. Click here to view our events for this week, and to register for special programs. It’s harvest time in the valley. This is when we head to the u-picks, the markets, farmers roadside stalls and stock up. What to do with all of this bounty? This is the time to plan for the rest of fall and the winter to come. I think we all have gone overboard at one time or another and then find ourselves with a bushel of apples or quarts of plums and pears and finding that we cannot eat them fast enough. Pickling, Preserving and Canning are popular ways of keeping fruits and vegetables. The kitchen pantry, cold rooms and root cellars are also making a comeback. If you aren’t lucky enough to have these consider building or having them built. 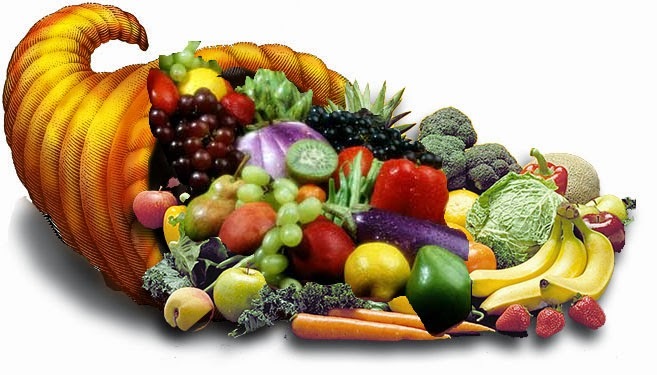 It can be easier than you think to put aside some food to enjoy over the long winter months. 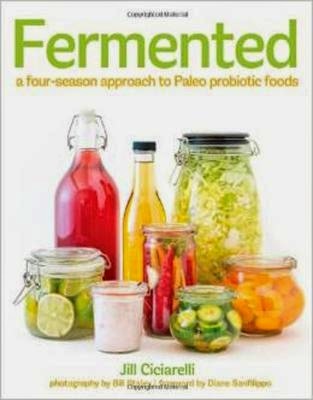 Fermented foods are also making a comeback, think sauerkraut, not only for the taste but the health benefits as well. Whether you want to start small with a little bit of jam or want to preserve your whole harvest look to your local library for help. We have titles like the Complete Root Cellar, ClearlyDelicious an Illustrated Guide to Preserving, Pickling & Bottling, or IndependenceDays : a guide to sustainable food storage & preservation. There are so many other books we can offer whether you are a beginner or an experienced food preserver. Recipe books too! With the award winning Best of Bridge home preserving : 120 recipes for jams, jellies,marmalades, pickles & more being one of our newest additions. There is nothing like the feeling of looking over a counter filled with jars of pickles or jam that you have made yourself. Have fun exploring this activity and who knows you might be planting your own garden next spring. We have books for that too. Boys were almost 5 times more likely to be identified with Autism Spectrum Disorder (ASD) than girls. About 1 in 42 boys and 1 in 189 girls were identified with ASD. This new estimate is roughly 30% higher than the estimate for 2008 (1 in 88), roughly 60% higher than the estimate for 2006 (1 in 110), and roughly 120% higher than the estimates for 2002 and 2000 (1 in 150). One of the most recognizable groups to raise public awareness and fund global research is Autism Speaks Canada. Started by the grandparents of a child with Autism this is now North America’s largest research and advocacy organization. Their message that Autism speaks and it’s time to listen is a simple but serious one. With the prevalence of ASD growing every year it is important to keep up with the needs of these children. Looking for resources? The Austism Society of Canada provides a Directory for Nova Scotia. Do you want to learn more? Do you have a child with ASD? Do you want material for that child to use? Your public library has print, downloadable books and sound recordings for adults and children. 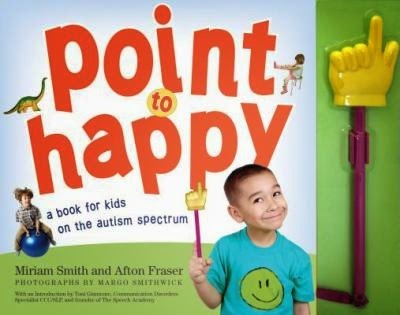 Use the term Autism in the search box and click on subject to get results for books such as Point to Happy, A Full Life with Autism, or The Reason I Jump. Let’s take this opportunity to listen and learn as Autism Speaks.